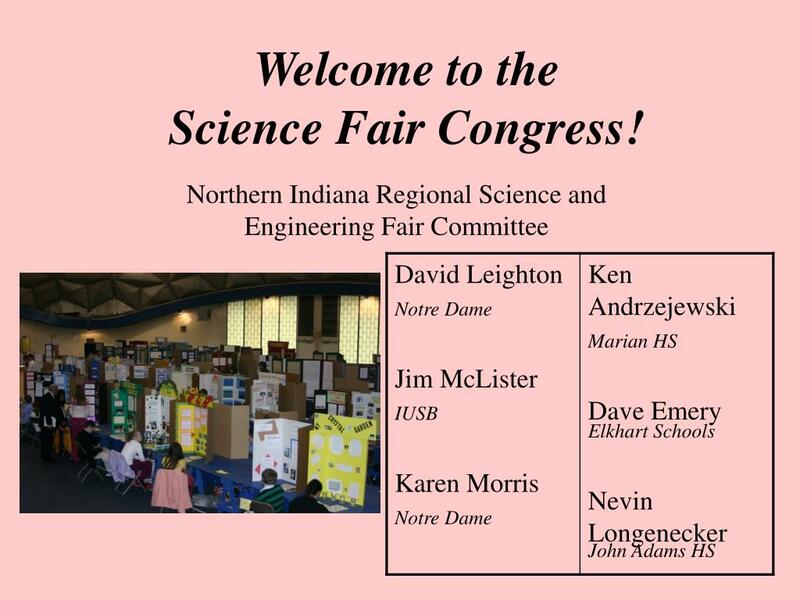 Welcome to the Science Fair Congress! 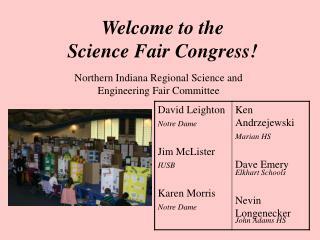 Welcome to theScience Fair Congress! 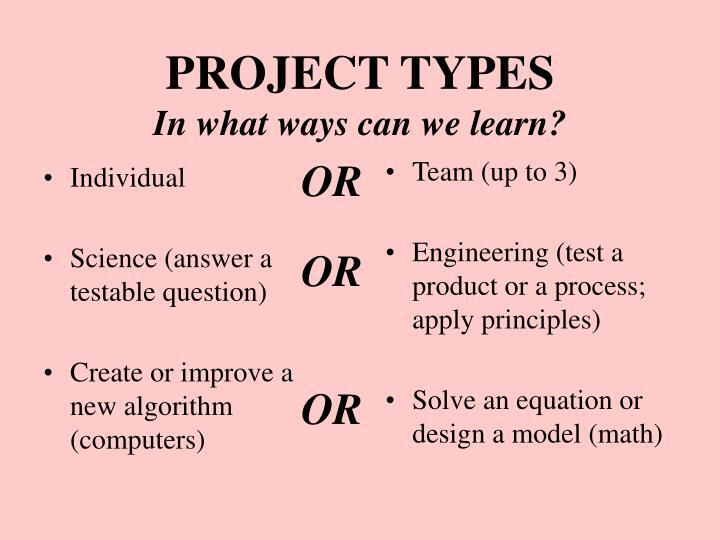 PROJECT TYPESIn what ways can we learn? Don’t copy an idea or experiment directly from a source. Modify it a bit to make it your own research. 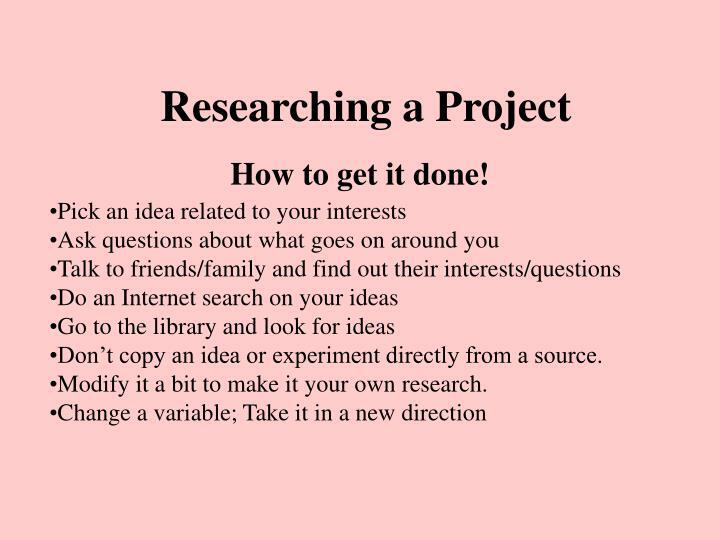 How to get it done! 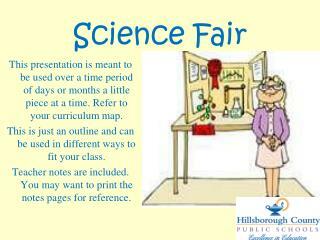 Make sure that the science is the focus of the display. 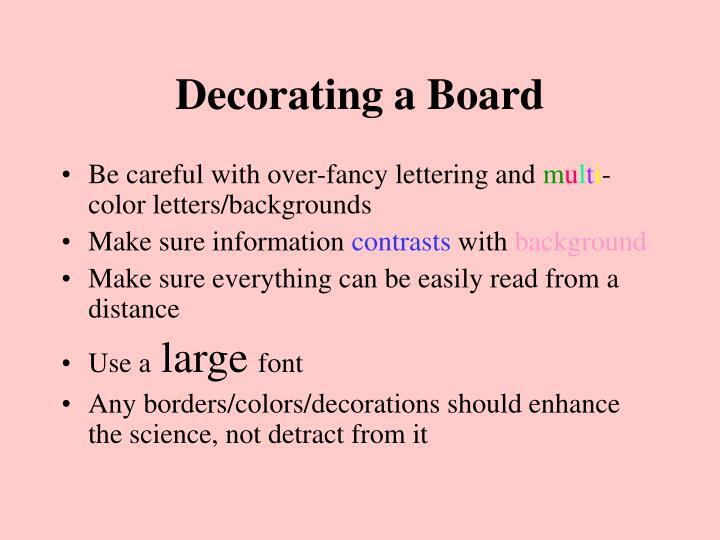 The center of the board should draw the observers attention. Place photographs and graphics here. 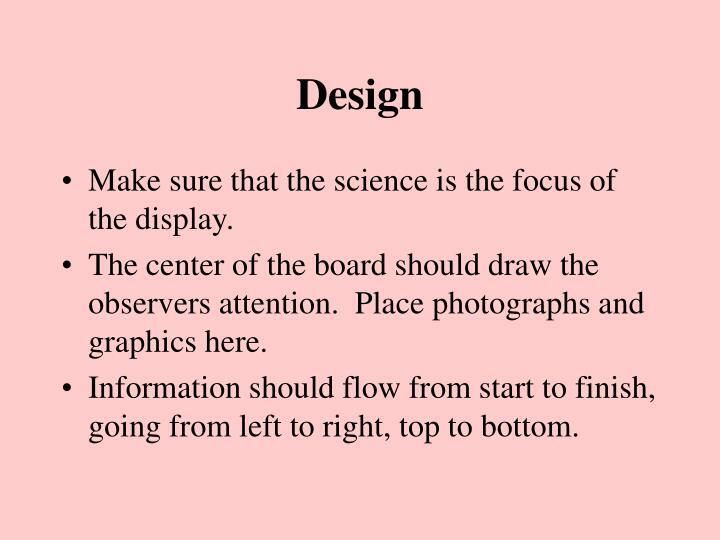 Information should flow from start to finish, going from left to right, top to bottom. Volunteers who enjoy working with students and learning new things! A creative contribution promotes an efficient and reliable method for solving a problem. 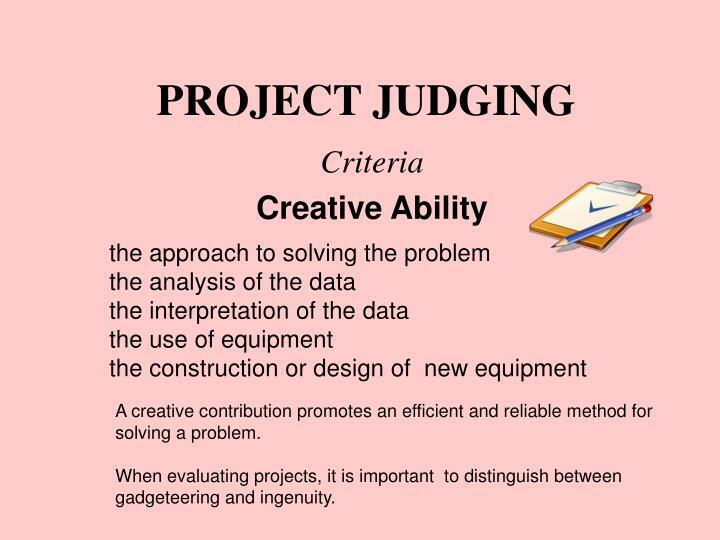 When evaluating projects, it is important to distinguish between gadgeteering and ingenuity. 1. Clear and unambiguous problem? 2. Too broad or too narrow? 4. Variables clearly recognized and defined? 5. If controls were necessary, were they recognized and correctly used? 6. 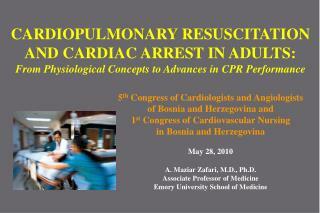 Adequate data to support the conclusions? 8. Ties to related research? 9. Any further research needed? 10. Is scientific literature cited? 2. Is the objective relevant to the potential user’s needs? 3. Is the solution workable? acceptable? economically feasible? 4. Utilized in design/ construction of an end product? 5. Significant improvement over previous alternatives? 6. Tested for performance under the conditions of use? 1. Was the purpose carried out to completion within the scope of the original intent? 2. How completely was the problem covered? 3. Are the conclusions based on a single experiment or replication? 4. How complete are the project notes? 5. Is the finalist/team aware of other approaches or theories? 6. 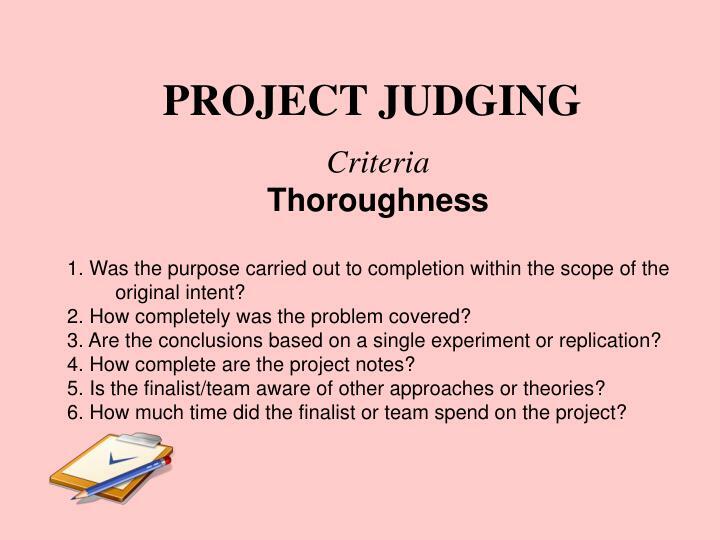 How much time did the finalist or team spend on the project? 1. Does finalist/team have required support and skills to obtain data? 2. Where was project done? What assistance was given? 3. Was there adults supervision or did student/team work alone? 4. Where did equipment come from? Was it built or loaned? Part of a research lab? 1. Explanation of purpose, procedure and conclusions clear? 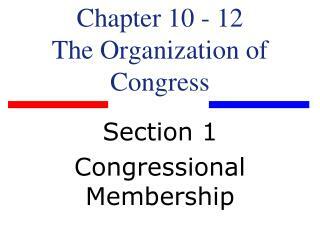 Was it memorized without comprehension of principles? 2. 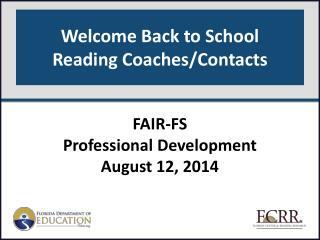 Does written material reflect student/team understanding? 3. Are project phases presented in orderly manner? 4. How clear is data and presented results? 5. 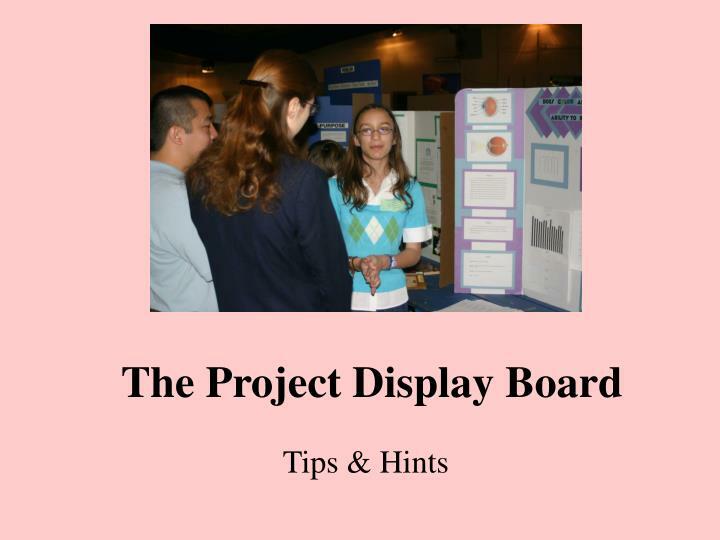 How well does project display present the project? 6. Was presentation forthright without tricks, gadgets or incentives? 7. 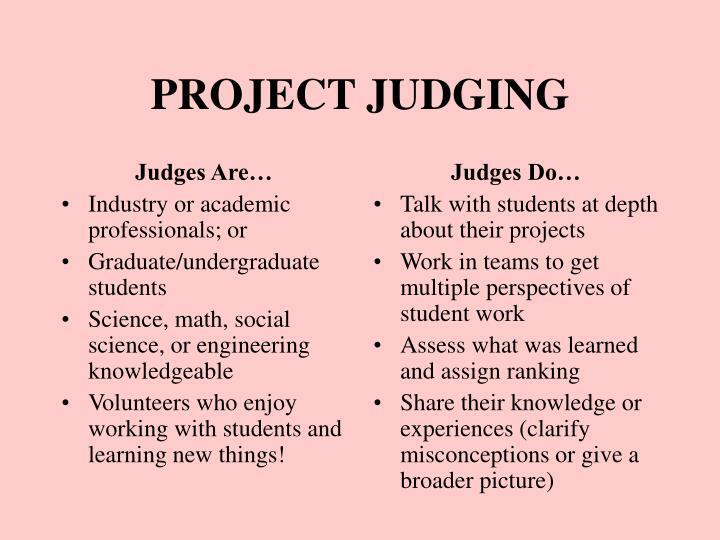 Did finalist/team perform all project work, or did someone help? 1. Were team member tasks and contributions clearly stated? 2. Were team members fully involved? 3. 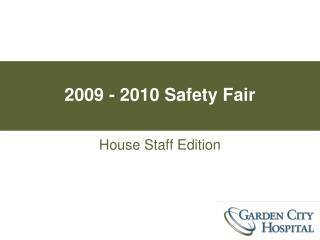 Is each team member familiar with all aspects of the work? 4. 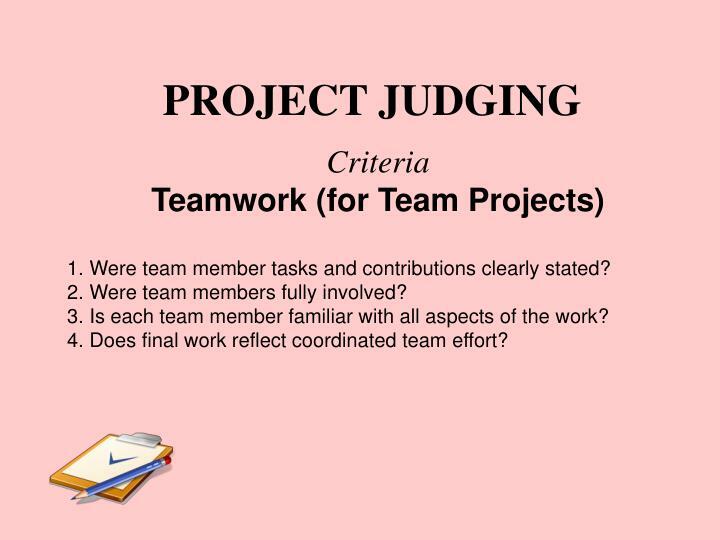 Does final work reflect coordinated team effort? 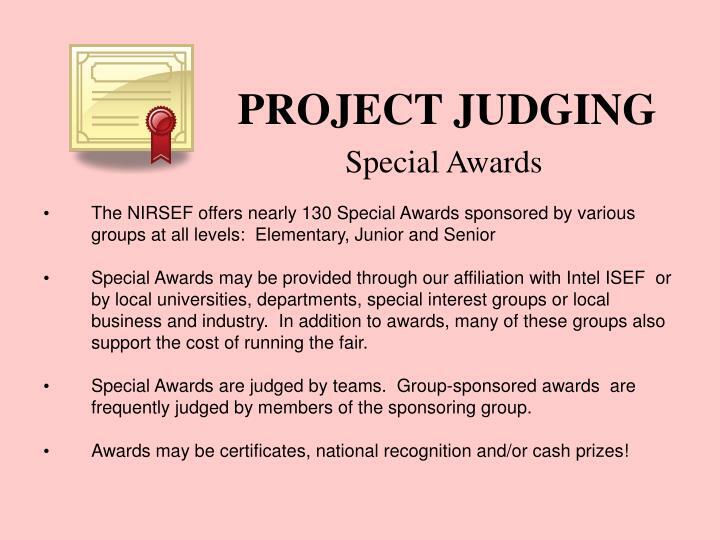 Projects are judged for First, Second, Third or Participant ribbons relative to the ISEF judging criteria, taking into consideration the grade level of the student. 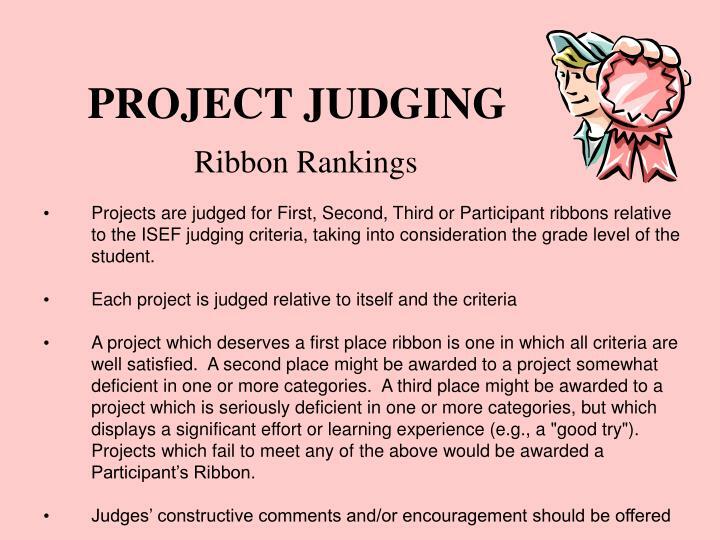 A project which deserves a first place ribbon is one in which all criteria are well satisfied. 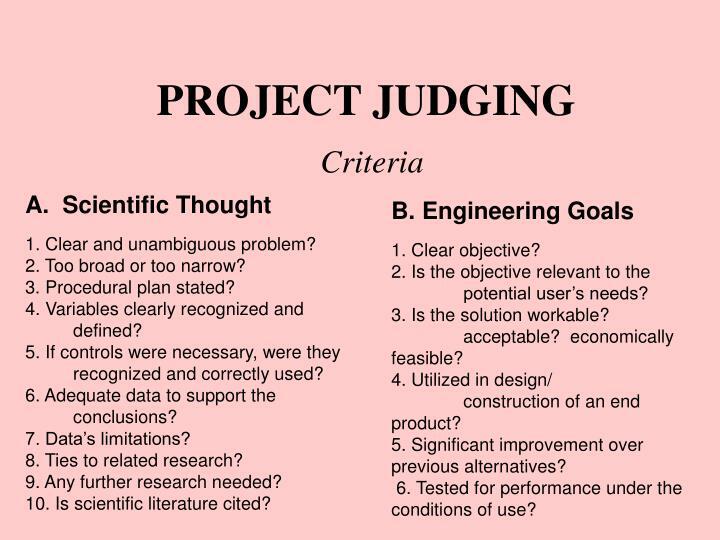 A second place might be awarded to a project somewhat deficient in one or more categories. 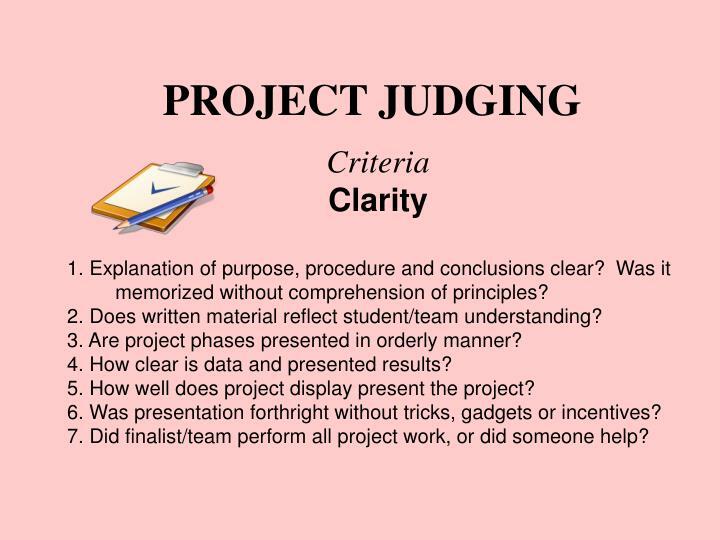 A third place might be awarded to a project which is seriously deficient in one or more categories, but which displays a significant effort or learning experience (e.g., a "good try"). 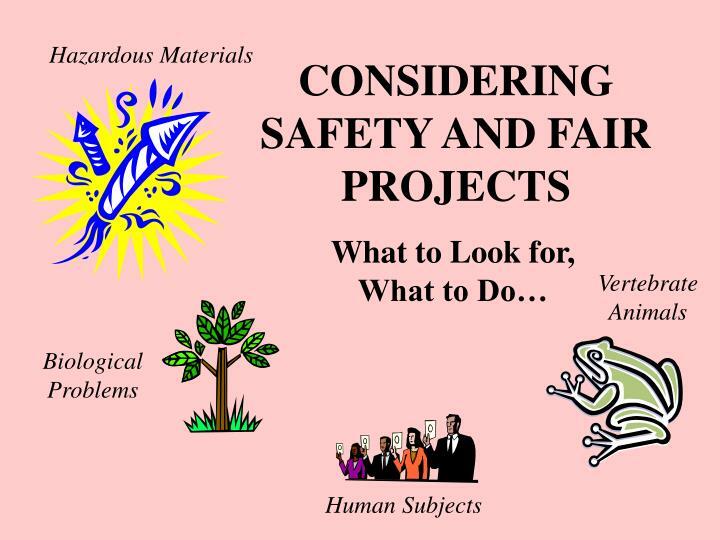 Projects which fail to meet any of the above would be awarded a Participant’s Ribbon. 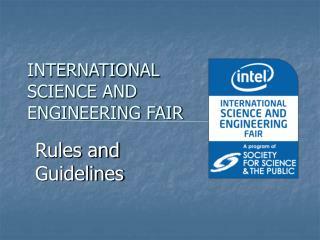 Special Awards may be provided through our affiliation with Intel ISEF or by local universities, departments, special interest groups or local business and industry. 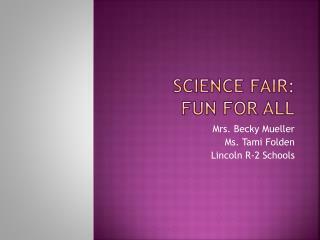 In addition to awards, many of these groups also support the cost of running the fair. Special Awards are judged by teams. Group-sponsored awards are frequently judged by members of the sponsoring group. 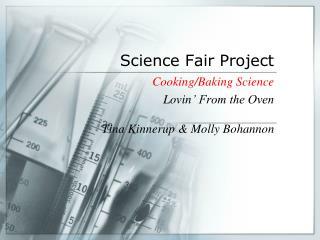 Awards may be certificates, national recognition and/or cash prizes! 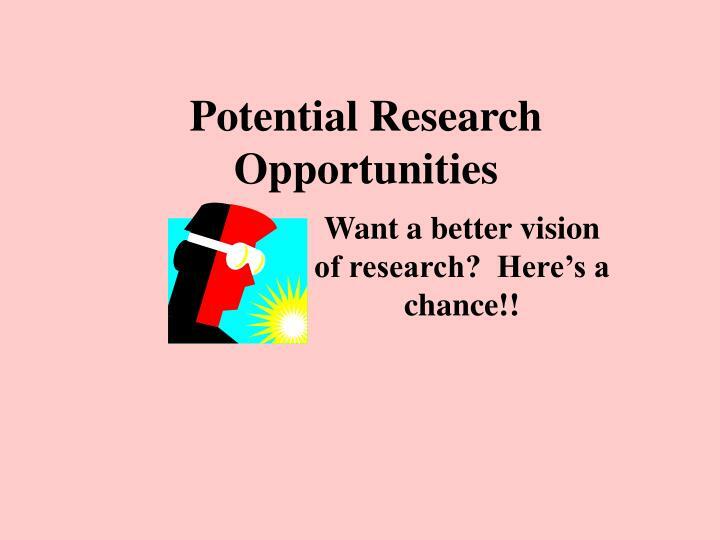 Want a better vision of research? 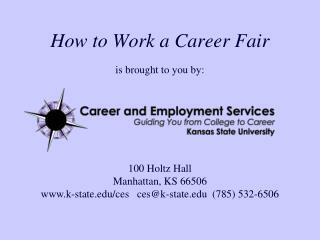 Here’s a chance!! 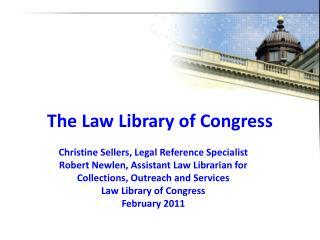 This is the one we are affiliated with. 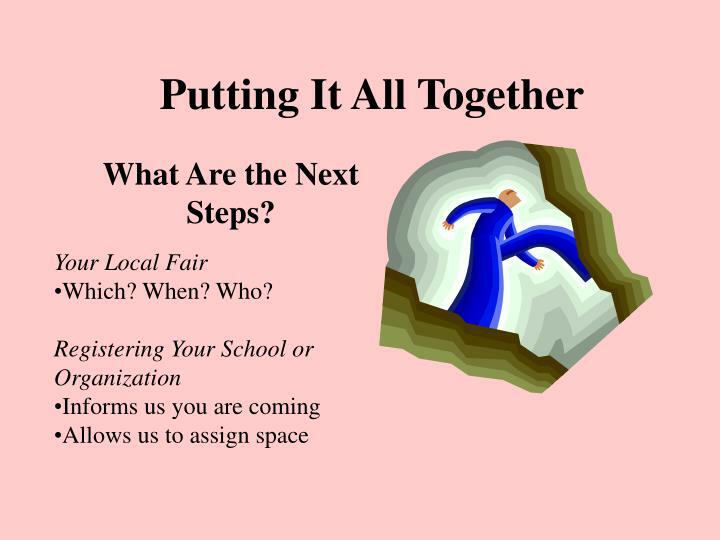 We send some of our competitors directly to this fair, and additional competitors are sent to the state level competition, which also sends competitors to this fair. 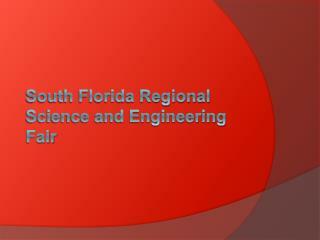 Dates: Regional competition in mid-March., state competition in early April, international in mid-May. 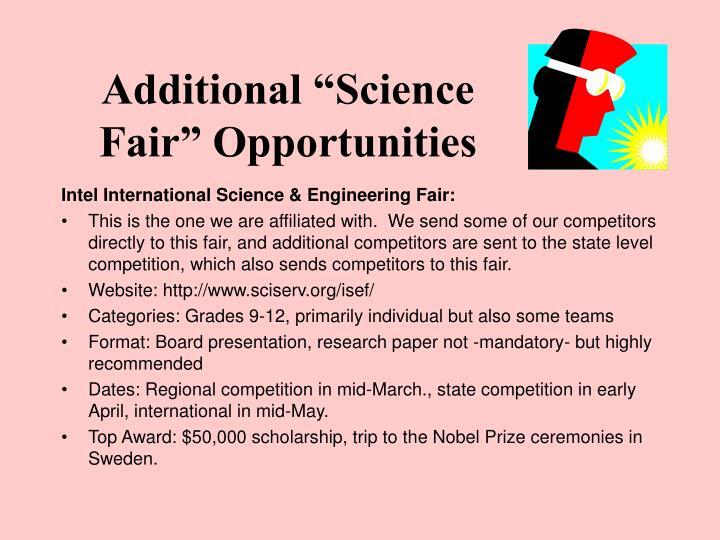 Top Award: $50,000 scholarship, trip to the Nobel Prize ceremonies in Sweden. 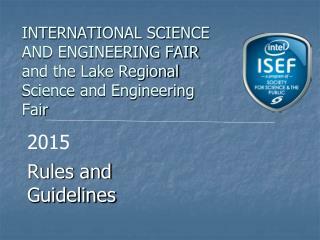 This is a national level only competition, and is restricted to 12th grade individual projects. 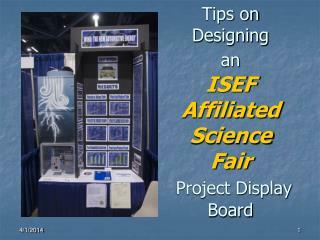 Originally the Westinghouse STS, this is considered the most prestigious of all science fair competitions. 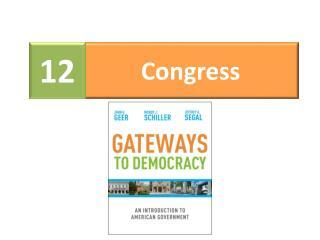 It is also the most challenging, with over 1600 research papers submitted each year. 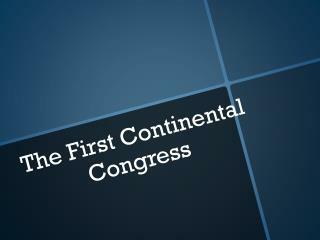 Dates: Written paper submitted mid-November, top 40 have board-type presentation in March. 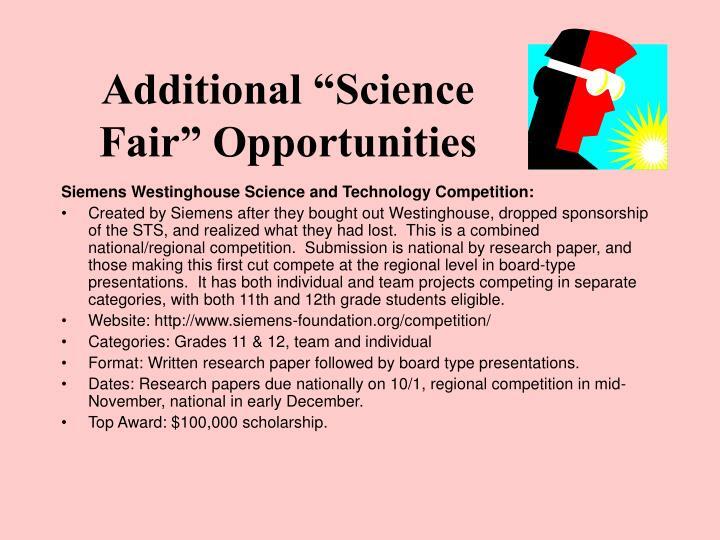 Created by Siemens after they bought out Westinghouse, dropped sponsorship of the STS, and realized what they had lost. This is a combined national/regional competition. 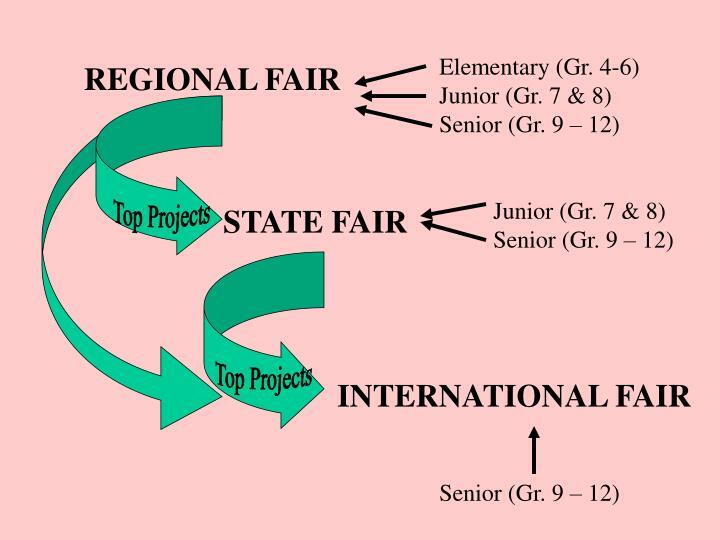 Submission is national by research paper, and those making this first cut compete at the regional level in board-type presentations. 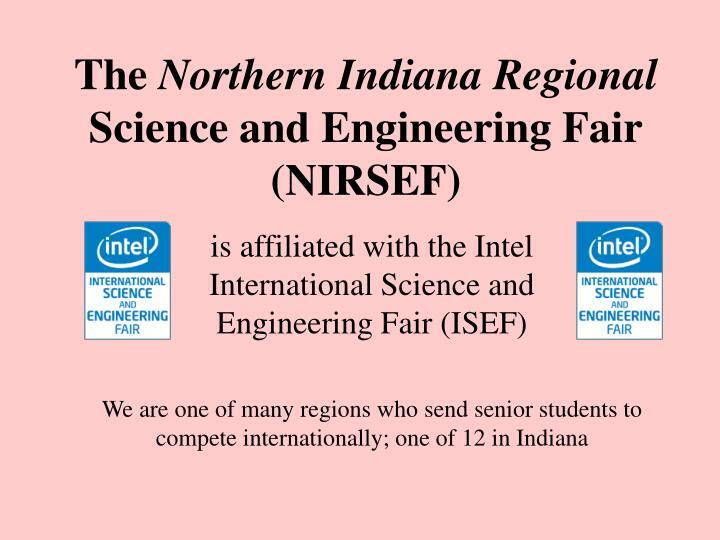 It has both individual and team projects competing in separate categories, with both 11th and 12th grade students eligible. 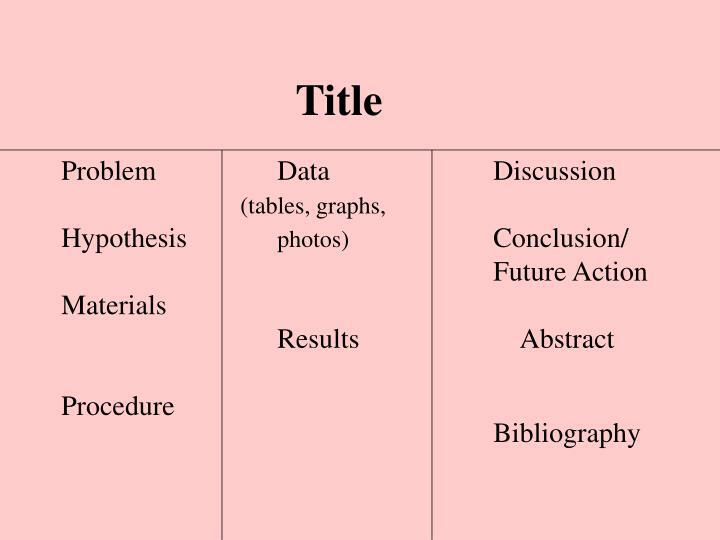 Format: Written research paper followed by board type presentations. 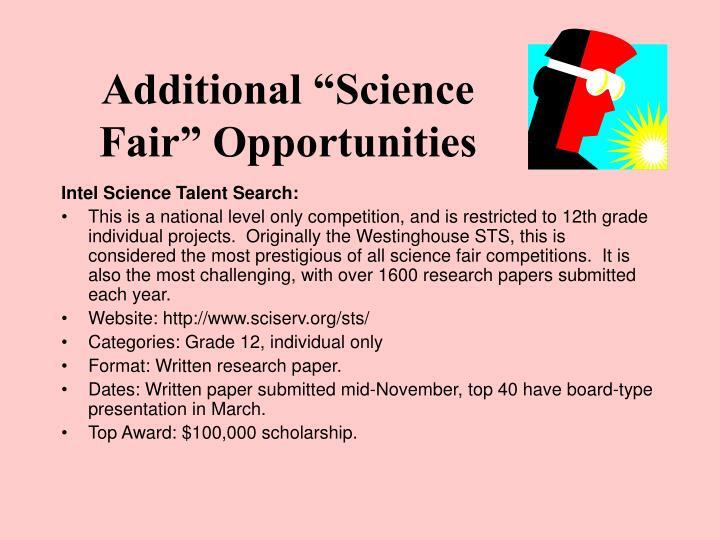 Dates: Research papers due nationally on 10/1, regional competition in mid-November, national in early December. 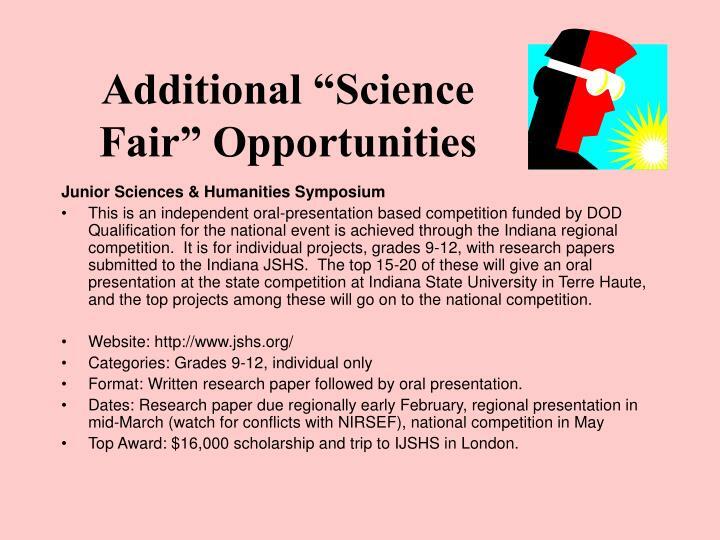 This is an independent oral-presentation based competition funded by DOD Qualification for the national event is achieved through the Indiana regional competition. 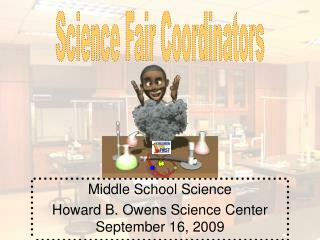 It is for individual projects, grades 9-12, with research papers submitted to the Indiana JSHS. The top 15-20 of these will give an oral presentation at the state competition at Indiana State University in Terre Haute, and the top projects among these will go on to the national competition. 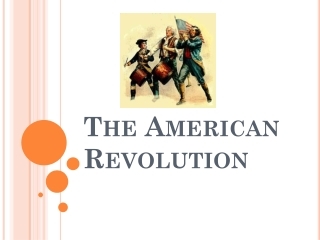 Format: Written research paper followed by oral presentation. Top Award: $16,000 scholarship and trip to IJSHS in London. 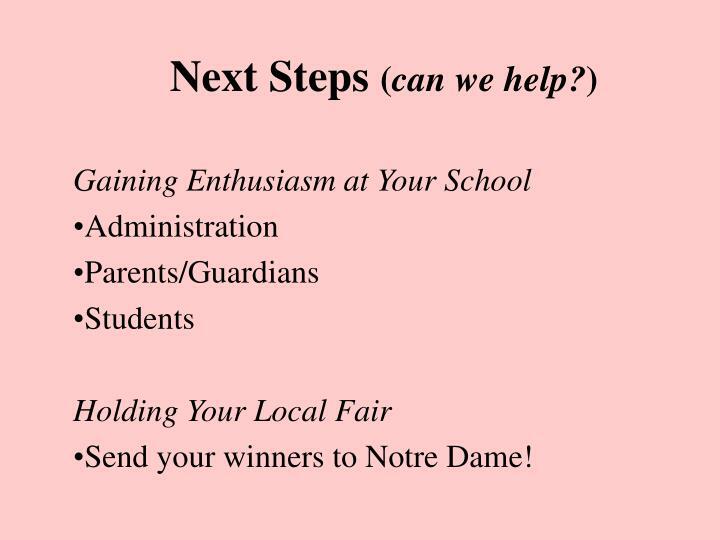 Send your winners to Notre Dame! 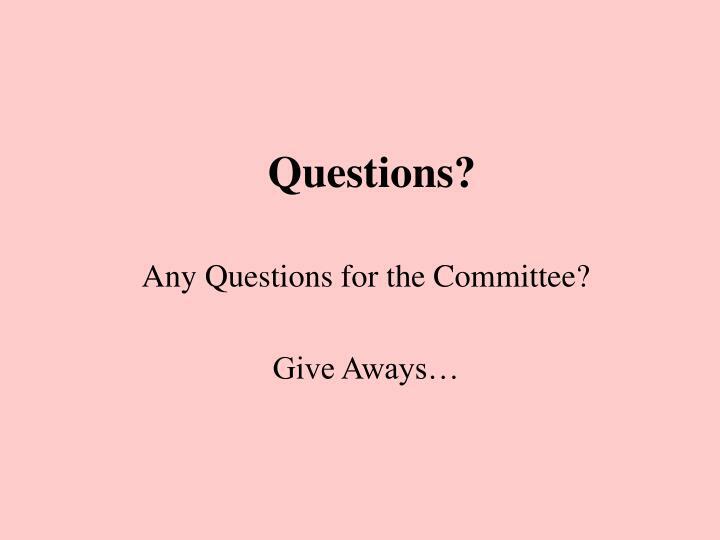 Any Questions for the Committee? 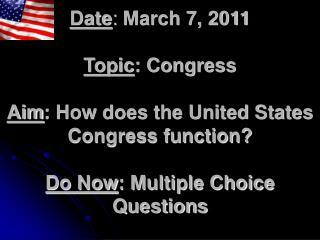 Congress -Date : march 7, 2011 topic : congress aim : how does the united states congress function? 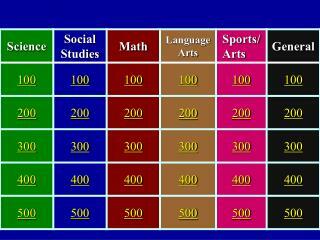 do now : multiple choice questions. 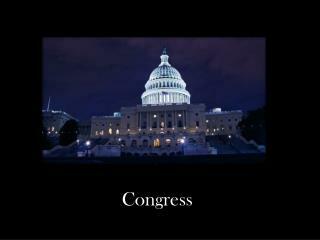 congress. us capitol building. 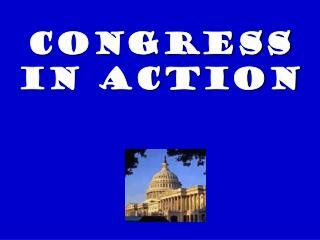 legislative branch – “makes laws”. 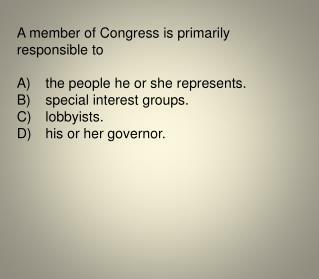 congress in the constitution.